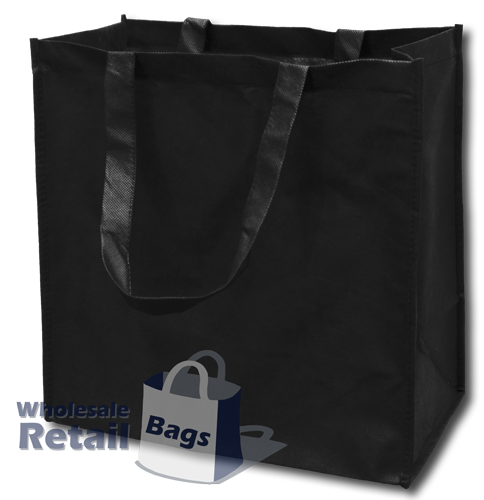 The nonwoven big shopper bag is the largest bag in our lineup. It's physically larger than the heavy shopper bag, while still being made out of quality nonwoven fabric and being capable of carrying reasonable weight. The primary difference between the nonwoven big shopper bag and the nonwoven heavy shopper bag, is that the big shopper bag can accept a full size print because we cannot print over the straps on the heavy shopper bag. As both a marketing and retail tool, we think this makes the big shopper a far better bag, but we appreciate alot of retail sellers prefer the straps on the heavy shopper bag. The big shopper bag comes with a PE baseboard.